Stay tuned for the identity of the next Bachelor which should be announced soon! I'm predicting Blake will be the one! Colton or Blake are my guesses. My wife is rooting for Colton. The official announcement won't be revealed until Tuesday, September 4th. IT IS INDEED OFFICIAL... COLTON IS THE BACHELOR. ANNOUNCED BY GOOD MORNING AMERICA. Looks like Will was right. Colton Underwood burst onto the scene during season 14 of “The Bachelorette.” It was his good looks, love for dogs and vulnerability that charmed not only Bachelorette Becca Kufrin, but all of Bachelor Nation. This former NFL player made a play for Becca’s heart but was sadly sent home after professing he had fallen in love. Now Colton is back and ready to capture hearts across America yet again when he returns for another shot at love, starring in the 23rd season of ABC’s hit romance reality series “The Bachelor,” when it premieres in January 2019. The announcement and Colton’s exclusive appearance were made on “Good Morning America” this morning. Colton, 26, was best known for his candor when speaking about his virginity and had America standing by him when he discussed the sensitive topic during his emotional breakdown on “The Bachelorette: The Men Tell All”reunion. When Colton showed up to the beaches of Mexico this summer on “Bachelor in Paradise,” he was hopeful. While he may not have found love, he didn’t leave empty-handed. He found closure with former flame Becca Kufrin; clarity with Bachelor Nation favorite Tia Booth; and above all, an unwavering desire to find the woman of his dreams. After a summer of growth and a new perspective on what he is looking for, Colton is more than ready for this next chapter. Colton was born in Indianapolis and grew up in the small town of Washington, Illinois. He is part of a loving, blended family with his seven siblings, father and stepmother, and mother and stepfather. It was Colton’s close relationship to his family that sparked his idea to start the Legacy Foundation, a charity for cystic fibrosis, something that his 6-year-old cousin Harper was diagnosed with as a baby. Colton Underwood burst onto the scene during season 14 of “The Bachelorette.” It was his good looks, love for dogs and vulnerability that charmed not only Bachelorette Becca Kufrin, but all of Bachelor Nation. This former NFL player made a play for Becca’s heart but was sadly sent home after professing he had fallen in love. 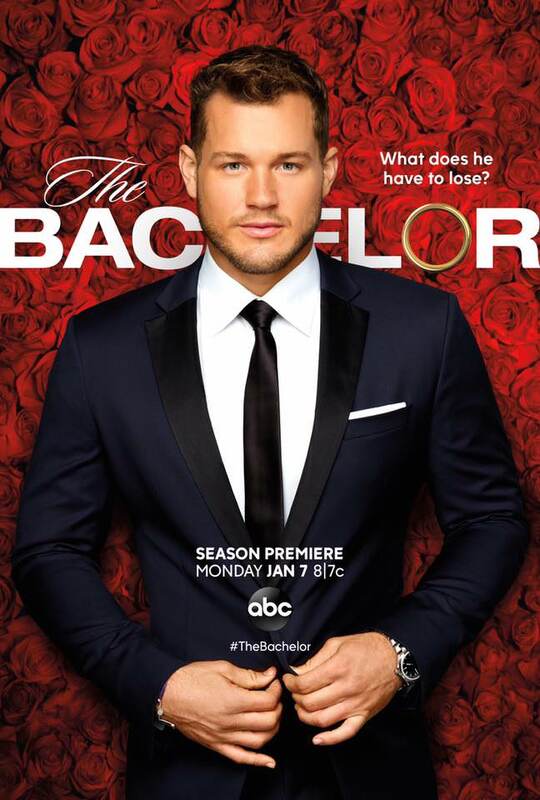 Now Colton is back and ready to capture hearts across America yet again when he returns for another shot at love as the star of the 23rd season of ABC’s hit romance reality series “The Bachelor,” premiering MONDAY, JAN. 7 (8:00-10:00 p.m. EST), on The ABC Television Network, streaming and on demand. Colton, 26, notably spoke to Becca very candidly about his virginity during season 14 of “The Bachelorette,” and won over America when he opened up about the sensitive topic during an emotional conversation on “The Bachelorette: The Men Tell All”reunion. Here’s your first look at Colton Underwood's dramatic journey to find love. The road to romance will be filled with will be filled with romance, shocking twists, and plenty of tears. The new season of #TheBachelor begins January 7! The suitors for Colton Underwood's season will be announced at 12 pm, Thursday board time. They will have 30 bachelorettes, include 2 beauty queens. “2301” – What does a pageant star who calls herself the “hot-mess express,” a confident Nigerian beauty with a loud-and-proud personality,; a deceptively bubbly spitfire who is hiding a dark family secret, a California beach blonde who has a secret that ironically may make her the Bachelor’s perfect match, and a lovable phlebotomist all have in common? They’re all on the hunt for love with Colton Underwood when the 23rd edition of ABC’s hit romance reality series “The Bachelor” premieres with a live, three-hour special on MONDAY, JAN. 7 (8:00–11:00 p.m. EST), on The ABC Television Network, streaming and on demand. Oh, he’s in trouble. The ladies of The Bachelor BRING IT this season. (Sloth costumes, tequila, and all.) 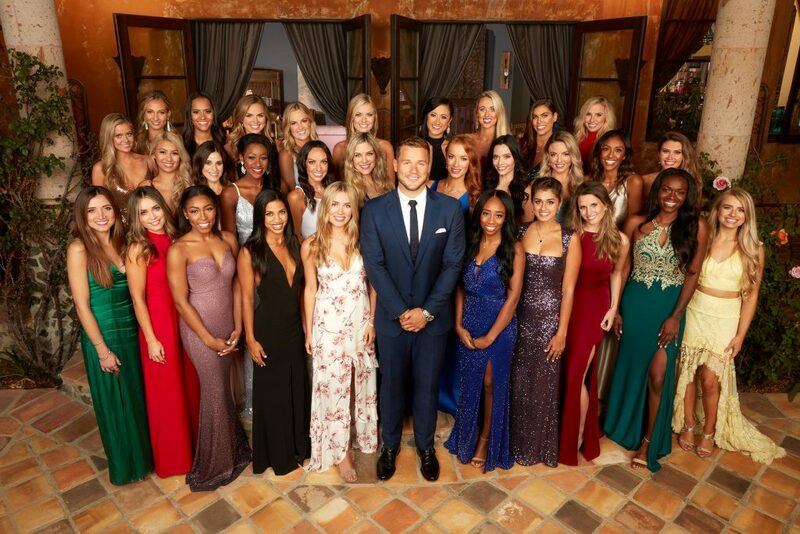 Here's a look at Colton Underwood's season of The Bachelor with special introductions of the women. Well, I got all out of 29 right with one revealed by the official website. Sorry for this, I've been tried to refresh to post it due to server malfunction.